As a senior golfer, your swing speed may not quite be what it once was, but that shouldn’t stop you from playing the game. In fact, by choosing your golf ball wisely, you may even be able to pick up a few yards off the tee. The key to finding the best golf ball for seniors is finding a quality golf ball with a low compression core. This allows golfers with slower swing speeds to compress it and maximize your distance. Stay away from those rock hard cheap balls that say they’ll give you more distance, they are far from the best senior golf ball. You can get much better distance and great performance around the green with the balls on this list. You can also CLICK HERE for our complete Golf Ball Buying Guide. Without getting too deep into the physics of it all, a golf ball that is hit gets most of its momentum from the ball compressing against the clubface and rebounding off of it. The compression creates stored energy and the rebounding is releasing that energy. That’s why a round rock the same weight as a golf ball wouldn’t fly nearly as far (there are other reasons too of course). If a ball is too hard (like the rock we just talked about) and you aren’t swinging fast enough to compress it, then you are missing out on a lot of potential energy and momentum in that ball. That means that if you have a slower swing speed (let’s say around 70-80mph) then a ball with a compression rating of 65-75 will travel farther than one with a rating of 90-105. In case you were wondering, a ProV1 has a compression of 90 and a ProV1x has a compression of 100. So if you aren’t swinging your driver at least 90-95 then that Pro V1 is costing you a lot of distance and that Pro V1x is even worse! So with this in mind, all of the balls on this list have a compression rating of 75 or lower. But there are more things to consider because you want more than just low compression, you also want a ball that gives you control and scoring opportunities. As a senior golfer, you need to maximize the distance you can get from your swing without giving up greenside control if you want to continue to shoot scores that match your skill level. It may be time to get rid of that ProV1 that doesn’t fly as far as it used to and look at these factors that are going to make a big difference in your game. This list is all about low compression golf balls, right? So let’s look at that first. For the reasons I talked about above, I decided to choose a compression rating of 75 as the cut off. Some of you senior golfers out there may have swing speeds that can handle a higher compression. But if that is the case then this article probably isn’t for you. Check out my Golf Ball Buyers Guide for some better options. The rest of you came here looking for low compression golf balls. There isn’t a standard definition of what a “low” compression golf ball is, but looking for golf balls that have a compression rating of 75 or lower is a good place to start. Most of the balls on this list are even lower. Sometimes the lowest compression golf balls might be the best for you. This factor is just about as important as compression. Lack of control around the greens will probably cost you more strokes than losing distance off your drives. Also keep in mind that if you are losing a little swing speed, you’ll end up hitting longer clubs into the green which will place a higher priority on being able to get up and down. 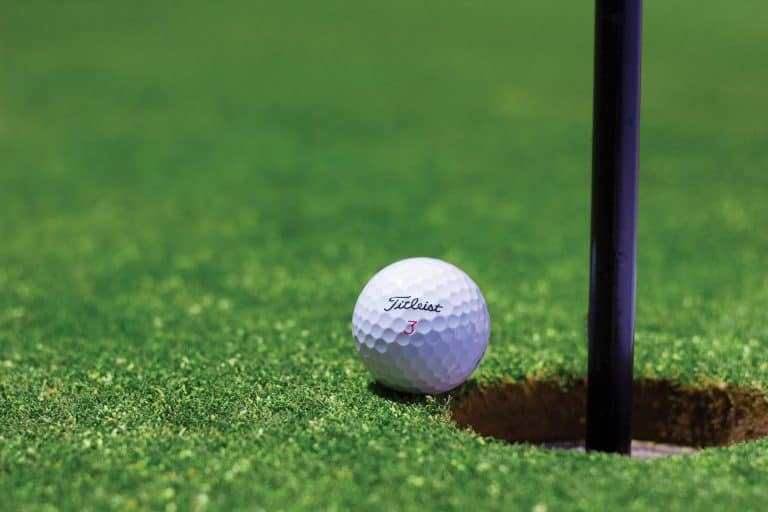 As a senior golfer, your experience and skill around the greens is probably your strength so don’t go playing a golf ball that flies far off the tee but doesn’t give you any spin or control around the greens. Control around the greens comes from two things, trajectory and spin. A higher trajectory will make the ball stop sooner and having more or less spin will control how it rolls out after it hits the green. You can control trajectory with any ball but that isn’t always possible given the lie and position of the shot. So let’s talk about spin. A softer ball with a softer cover will spin more. That means that pitches and chips will roll out less which can be very useful on courses with fast greens. In recent years, golf ball manufacturers have put some effort behind developing balls that fly farther with low compression and less spin off the driver while maintaining cover softness for control around the green. Those are the ones you want. This factor goes along with greenside control. But it is more than that. Playing a ball with a soft feel is somewhat of a personal preference, which is why this is the last factor to consider. The feel of a golf ball affects your play from driver all the way down to the putter. The feel of a golf ball can give you confidence or ruin it. A softer ball gives you that feeling of compressing it as you hit it on the longer shots. It also gives you a feeling of control on the shorter shots like wedge approaches and greenside short game shots. Where I think feel matters the most is on the putting green. A softer feeling ball seems to stick to the clubface for a split second (I know you aren’t really compressing the ball with a putter but this is more of a feel thing). That gives you a better feeling of control. You can be a little more aggressive with your putting stroke which tends to lead to more putts made. Of course your experience may vary, but I think feel in a golf ball is important. 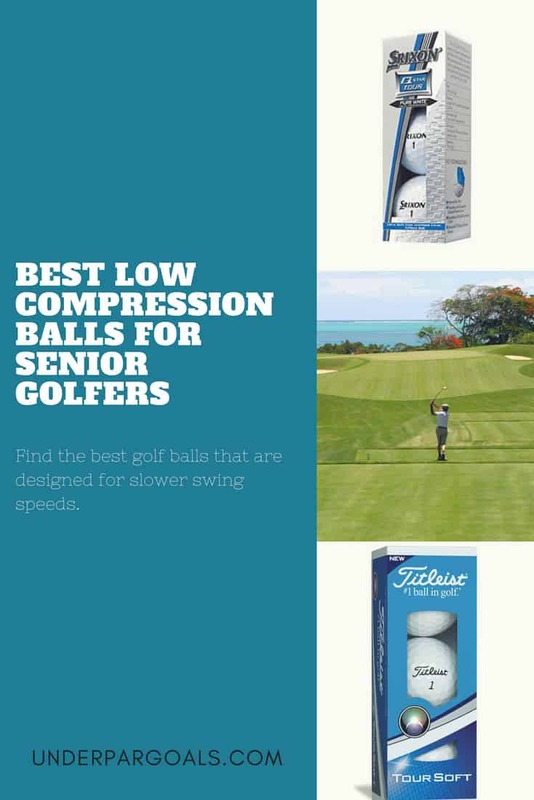 What Are The Best Low Compression Golf Balls For Seniors? Now that we have established what you should be looking for in a low compression golf ball, let’s take a look at the best ones out there today. I used the NXT Tour back when they first came out and this ball was somewhat similar in feel to that model. Although I would say that it has a softer feel to it and is a little better around the greens. One of the aspects of this ball that I was not expecting was the height I got on iron shots. This may vary depending on swing speed but it was helpful, especially on approach shots. I wouldn’t use this ball on a windy day though. It may be difficult to keep low when you need to. As far as feel goes it actually felt quite similar to the ProV1 from tee to green. Perhaps a little bit softer on the long shots but similar on the shorter shots. 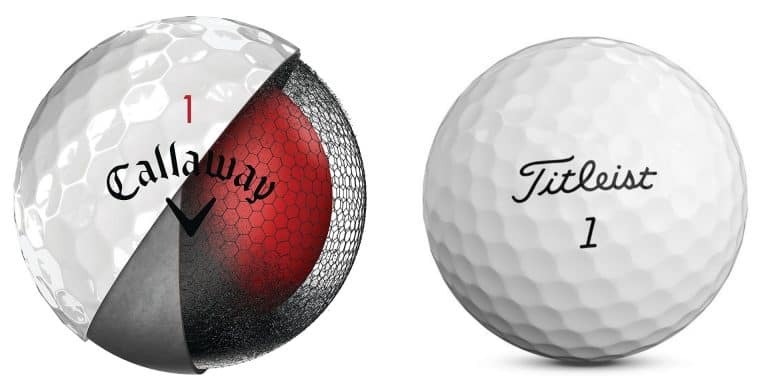 The Titleist Tour Soft lacks a urethane cover. This may not be a big deal to players who aren’t used to one but it may take some getting used to for those that are. However, for a syrlyn cover, this ball performed much better than expected around the greens. Enough that the combination of a 65 compression rating and more than adequate control around the greens is why I picked this as for the number one spot on the list. Who Should Use The Titliest Tour Soft? For the majority of senior golfers looking for a low compression golf ball, the Titleist Tour Soft is a great choice. It strikes a nice balance with a 65 compression rating that is low enough for most senior golfer, but not too soft for those that might be used to a Pro V1 or similar ball. If you’re looking for a low compression ball, then this should be the first one to test out. CLICK HERE to see the latest price of this ball on Amazon. The Srixon Q-Star Tour is a relatively new golf ball by Srixon that was made specifically for the lower swing speed player that wants to play a quality golf ball. It does have a slightly higher compression rating than others on this list so it is more targeted towards those seniors that can still generate a swing speed in the 80-95 range. I recently did a comparison of this ball with one of my favorites, the more expensive Srixon Z-Star. If you are familiar with the original Q-Star, these are probably much closer to the Z-Star in performance than they are to the Q-Star. Considering they are retailing for only a few dollars more than the Q-Star, this might be the best golf ball deal out there, hands down. As one of the more recent entries into the low compression/high quality ball market, Srixon really hit all the important things on this one. The combination of a low compression core and relatively low spin on longer shots will result in great tee ball performance. Especially for those in the 80-95 swing speed range. If you are lower than that, you should try out the other balls on this list to compare the distance with your driver and other long shots. Around the green, this ball was the stand out of the group. The urethane cover makes a big difference for greenside chips and pitches as well as full swing wedge shots. In my head to head testing, it was not far off Srixon’s Tour level ball, the Z-Star as far as handling around the green. So if you are used to a ProV1 but just don’t have the swing speed to get it down the fairway like you used to, then this is probably the perfect ball for you. Putting with this ball was remarkably similar to the more expensive Z-Star or even a ProV1. It has that premium ball feel off the putter which I attribute to the urethane cover. Who Should Use The Srixon Q-Star? If your swing speed is 80-90mph then the Srixon Q-Star might be a great choice for you. You still need to avoid the premium balls with compression ratings in the 90s and above, but you may not want the softer balls on this list. Because this is not among the lowest compression golf balls, those with swing speeds under 80 might want to avoid it. With a crazy soft compression rating of 38, this ball earns its name. It is one of the lowest compression golf balls on the market. That alone makes it a great low compression choice for seniors but Callaway also make it pretty good around the greens as well. The Supersoft made the list mostly because it is the best ball with a really low compression. Every golfer looking for a low compression ball should try this ball out. Despite the soft feel, it tends to generate less spin than the other balls on this list which makes it a great ball for those senior golfers who may need a little help keeping the ball in the fairway. An interesting side effect of the low spin was a lower trajectory than the others on the list here. As long as you aren’t hitting it with a lot of clubhead speed, this ball will help you keep the spin down which results in farther straighter shots and makes it a good ball to use in the wind. That being said, it didn’t hold the green as well as the others on mid to long iron shots. According to Callaway their proprietary Tri-onomer cover material offers a soft feel and “shot stopping wedge spin” despite it not being urethane. Like the Titleist above, it was good, but not up to the level of the more expensive urethane covered balls. If you are looking for a really low compression ball then this is the one you should try. Who should try the Callaway Supersoft? Get on a launch monitor and measure your driver swing speed. If you’re 75mph or below then the Supersoft may be a great option for you. If you really like the soft feel of a ball then check this one out. It may be too soft for some, in which case, try out the other two options in the list. The best way to decide is to grab a box of each and play a few round with all of them. Are you a senior golfer that has found the perfect low compression golf ball for your game? Tell us about it. Your content was very helpful to me. It was very informative for senior golfers. because when we talk about Low Compression golf balls for seniors, we usually think of regular golf balls that have slightly different specifics & your content have almost every important information about senior people’s golf balls. Your content was very unique & amazing.